Ginger, which is scientifically referred to as Zingiber officinale, is a natural aromatic spice. It has been in use since the ancient times of Asian civilization in the treatment of health problems. Ginger tea made from the roots of ginger also has some therapeutic properties. Ginger root tea is high in vitamin C and B6, magnesium and potassium and oils like zingerone and gingerols; which are all important in body health. There are many health benefits of ginger tea. 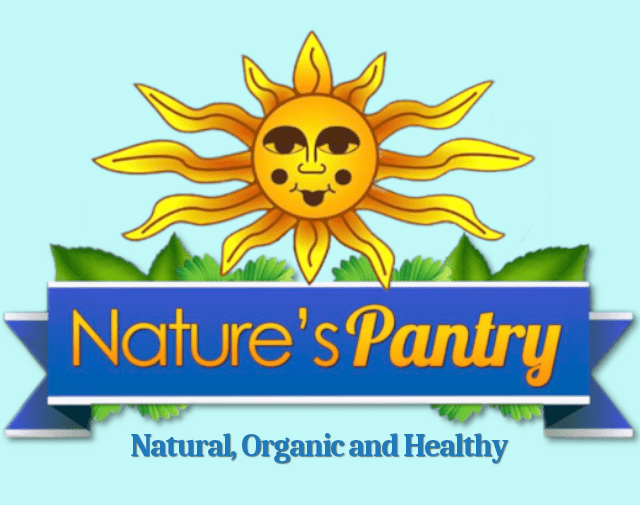 We always try to keep our clients highly informed at Nature’s Pantry in Lebanon, Missouri. In doing so, we have put together a list of some of the benefits of ginger tea for you. Enhances Digestion: When you take the ginger tea, digestive juices are secreted and these juices relax the small intestine muscles and neutralize the acidity of the stomach. This enhances the rate of digestion and helps in the alleviation of symptoms which are triggered by indigestion, like gas, stomach bloating, nausea and vomiting among others. Reduces Morning Sickness: Pregnant women usually experience morning sickness during the early periods of conception. Because it’s not usually recommended for pregnant women to take medicines during pregnancy, herbal remedies can help in such cases, like drinking ginger tea, whose prolonged consumption significantly alleviates morning sickness. Strengthens Immunity: Consumption of ginger tea enhances the immunity of the body. This is due to the fact that it has enormous quantities of anti-oxidants, which are critical in enhancing a person’s immunity. It guards against disease and infections. Cures Menstrual Cramping: It is important in curing and alleviating cramping which are synonymous with menstruation in women. Ginger tea has antispasmodic properties. Therefore, when cramping occurs, intake of ginger tea assists in increasing the delivery of blood to the pelvic areas of the body. This removes the blockages, and in the process, cures cramping. 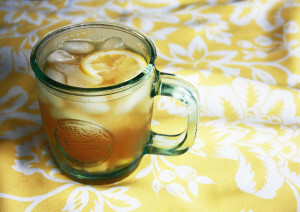 Treats Common Cold: Regular intake of ginger tea aids in treating symptoms of the common cold. Ginger tea, due to its warm nature, improves perspiration in an individual and therefore lowers fever which is commonly linked to cold. It’s also valuable in reducing soreness of the throat and opening blocked sinuses. Combats Motion Sickness: Carrying ginger tea with you while on a trip can be very beneficial. This is due to the fact that consumption of ginger tea minimizes motion sickness. It has been proven to relieve dizziness and nausea which is usually experienced by individuals suffering from motion sickness. This tea contains gingerols, so it’s very vital in the prevention of nausea and vomiting. Gingerols lead to blockage of the chemoreceptor trigger zones which stimulates vomiting thus stops vomiting. Cures Acne: Acne appearance is majorly caused by stress. Regular intake of ginger tea freshens up an individual and helps in improving his or her mood. This decreases the amount of stress an individual is subjected to and therefore reduces the appearance of acne at the same time. Secondly, it has ant-inflammatory features, and therefore, greatly reduces any type of inflammation or pimples when the tea is consumed every day. Prevents Cardiovascular Diseases: Ginger tea has an amazing effect in improving blood circulation and flow in the body. This is because it contains various minerals and amino acids. Because the consumption of ginger tea promotes smooth blood flow in various parts of the body, it greatly minimizes the chances of an individual getting cardiovascular diseases. Protects Liver: Intake of excessive quantities of alcohol usually precipitates a hangover. Ginger tea is valuable in such cases as it minimizes the effects of hangover. Intake of alcohol or some drugs can lead to severe liver damage. Drinking ginger tea about twice in a day is vital in protecting the liver against adverse effects of these hazardous substances. Increases Fertility: Ginger has aphrodisiac features. It is said that when a male consumes ginger tea regularly, his sperm volume and count increases significantly. It can be very important to males who have erectile dysfunction problems. Therefore, it’s right to state that intake of ginger tea assists in enhancing fertility. Energizes the Body: Ginger tea has a rich supply of vitamin D, vitamin B and vitamin C, magnesium, potassium, calcium, copper and zinc. All the stated vitamins, mineral salts and elements are important in getting rid of toxins from the body’s system. This greatly elevates the rate of fat burning which makes an individual feel lighter with increased amount of energy. Please be sure to stop by Nature’s Pantry in Lebanon, Missouri to discuss how Ginger Tea can benefit you and your overall health.